In 1858, in the grotto of Massabielle, near Lourdes in southern France, Our Lady appeared 18 times to Bernadette Soubirous, a young peasant girl. 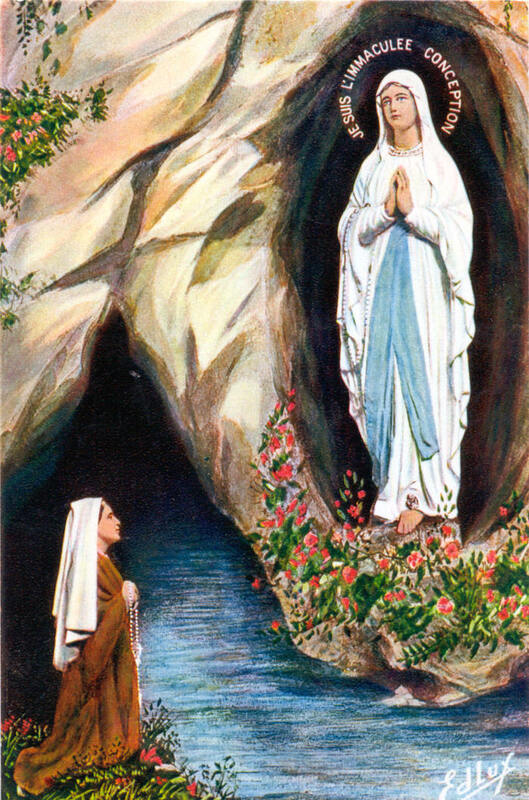 She revealed herself as the Immaculate Conception, asked that a chapel be built on the site of the vision, and told the girl to drink from a fountain in the grotto. No fountain was to be seen, but when Bernadette dug at a spot designated by the apparition, a spring began to flow. The water from this still flowing spring has shown remarkable healing power, though it contains no curative property that science can identify. 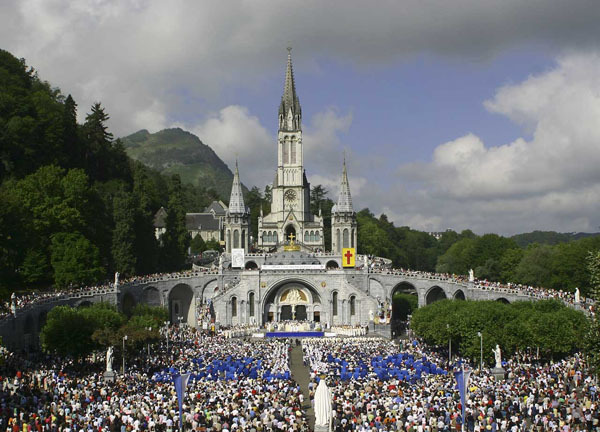 Lourdes has become the most famous modern shrine of Our Lady. Lourdes radiates a special appeal. A unique meeting place, it is for the Christian the revival of his faith, for the invalid a hope for recovery, for the heart a reason of hope.